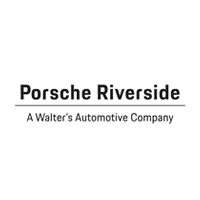 Welcome to Porsche Riverside, your one-stop shop in the greater Los Angeles area here to fulfill your luxury car needs. Whether you’d like to purchase a new or used Porsche or require service, you’ve come to the right place. We pride ourselves on tradition and value, and that’s always made clear to each and every customer to walk through our doors. If you need service, the factory-trained and Porsche-certified technicians at Porsche Riverside can handle anything you bring our way. Our service department never fails to manage maintenance and repairs in a professional, timely, and quality manner, getting you back on the road sooner in a Porsche that runs like new again. Better yet, we used only authentic Porsche parts, meaning your care will run as it was meant to, no matter the extent of the task at hand. With decades of experience under our belts, Porsche Riverside is ready to help you find your next car and meet all of your automotive needs! Our Porsche dealership proudly serves the greater Los Angeles area including Chino Hills, Ontario, Rancho Cucamonga, and Corona; visit us today. I went into Porsche Riverside for a routine service and just happened to see an Acura NSX. My sales rep Sherman Sims offered me a test drive and immediately fell in love with it. I purchased a 911 GTS about 4 months ago and was afraid i wouldn’t be able to get into the NSX. Sherman and Ed Finley went to work and made it happened for me. Sherman personally delivered my NSX to my house and picked up my GTS. Jeremy Bishop called me and went over some extra coverages and explained each coverage in detail without being pushy and ended up adding few extra coverages for my NSX. This is my 2nd vehicle from Porsche Riverside and will definitely come back for my next dream car. The entire sale & finance team is professional and made my purchase experience extremely pleasant. Its good to know they will do everything they can to help you so i highly recommend this dealership! Drove out to Riverside Porsche and bought a Macan Turbo with Tony Nguyen's help. Tony has amazing energy, he genuinely is excited about the cars he sells and it show with his knowledge and his quick wit. He was able to handle the multiple questions that my husband and I were simultaneously throwing at him. He knows his product and his tutorial on the car was clear and precise. If you are looking to purchase a Porsche, I would highly recommend you give Tony Nyguen at Riverside Porsche a call!!! John Beech at Riverside Porsche is a straightforward, no nonsense and trustworthy person. I am in the art biz and I know how to assess people very quickly. Customer service was top-notch and respectful. I would refer John without hesitation.